Feeling Out of Whack? Take Care of Yourself! 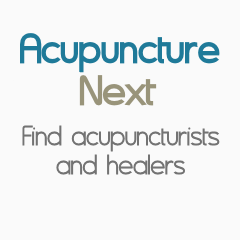 Boston Acupuncture helps reduce your stress and pain level. I am a doctor that listens to you and is interested in all aspects of your life. Your health, emotional fortitude, spiritual development, dreams and aspirations. When you step into my office you are a whole person. Your purpose and dreams are as important as your physical health. Together we will design a plan for optimal health and wellness to support your pursuits. Get Yourself Back Into Balance! Jeanie Mossa, MS, L.Ac., Dipl.Ac. True healing is only possible when your body, mind and spirit are in balance. Acupuncture gently works with you, helping you return to balance. I look forward to supporting you find the healing potential that lies within. Proudly serving the communities of Merrimack Valley and Southern New Hampshire. Dr. Alex Tatevian, DA, with over 30 years of acupuncture experience, and his staff offer an integrative approach to wellness including traditional acupuncture, state-of-the-art laser acupuncture, massage treatment and other therapies. Expert treatment for back pain, headaches and neuro-muscular disorders and more.